Dedicated to the railroads which brought prosperity to Dallas, the Age Of Steam Railroad Museum name is something of a misnomer. The museum deals equally with both steam and diesel/electric exhibits and retells the story of Dallas and its railroad history. 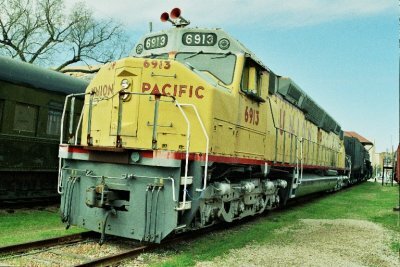 The museum website is at www.dallasrailwaymuseum.com , where further information can be found. Andy Read visited the museum on the 13th March 2005 and below are some photographs taken during his visit. Atchison, Topeka and Santa Fe Railroad FP45 locomotive no. 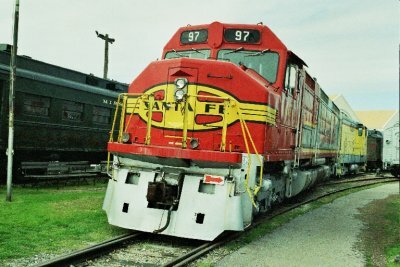 97, a former passenger locomotive relegated to freight service following the cessation of Santa Fe passenger operations on creation of Amtrak in 1971. 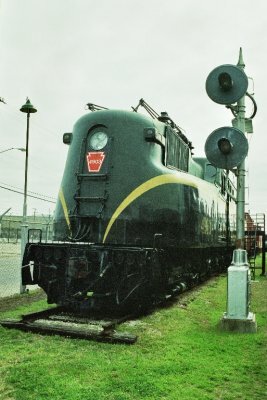 Former Penn Central GG1 electric locomotive on static display. Union Pacific Railroad DDA40X “Centennial” freight locomotive no. 6913 of 6600hp.